"The agreement calls for cash payment to Entrex of $1.8 million, plus continuing royalties on Nixdorf's sales of the Entrex line. 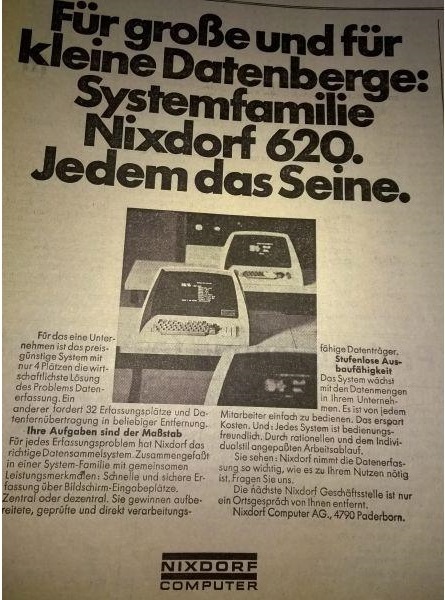 Nixdorf has been selling Entrex systems in Germany, Austria and Switzerland under its own “Nixdorf 620” label for more than a year, and has already accounted for more than 200 Entrex systems with a retail value of over $1.6 million. 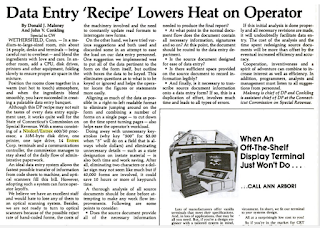 COMPANY Advanced Memory Systems Advanced Micro Devices Ampex Applied Devices Burroughs Computer Data Systems ..."
On a search results page, Books.Google.com produces the below paragraph, and cites this as a source. There is is Volume 7 Number 1 (January 1974) of this magazine is available at bitsavers.org. However, the text that Google returns below is nowhere to be found throughout this entire magazine. So it must be a different number of Volume 7. 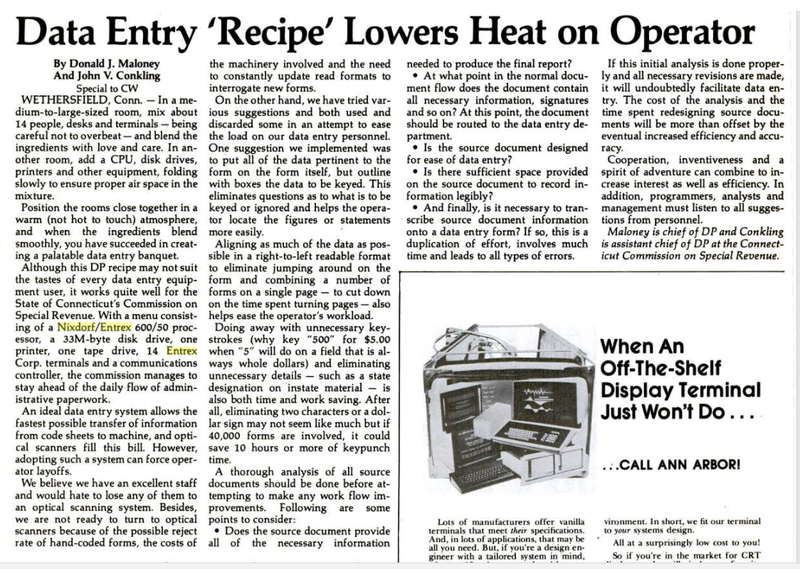 Too bad, because this is "the key information" that could explain the most about why the Nixdorf 620 seems to be so nearly identical to the Entrex 480, and parts are interchangeable. We have the phrase above, which is great, but what is the entire context? Hopefully we'll track the actual magazine down (or a scan of it turns up) someday. What would provide for the substitution of entire PR departments and extensive social media shitstorms these days was not worth mentioning in 1974." 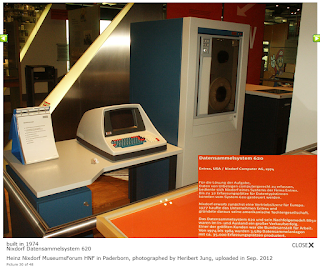 Equivalents: ENTREX 480 from ENTREX, DATENSAMMELSYSTEM 620 from NIXDORF. 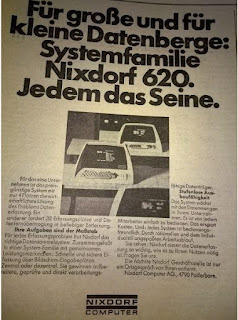 He is quoting "Charlie", who worked for Nixdorf Computer for 10 years and sold some of the first 8870s in the US. 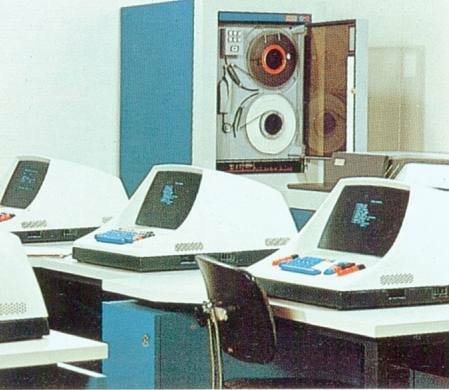 Nixdorf acquired ENTREX (key to disk) about 1977 which led to the 8850 line (Extrex made the 280, 380, 480 and 600 series Data Entry systems). US HQ was moved to Burlington, MA (and later Waltham). 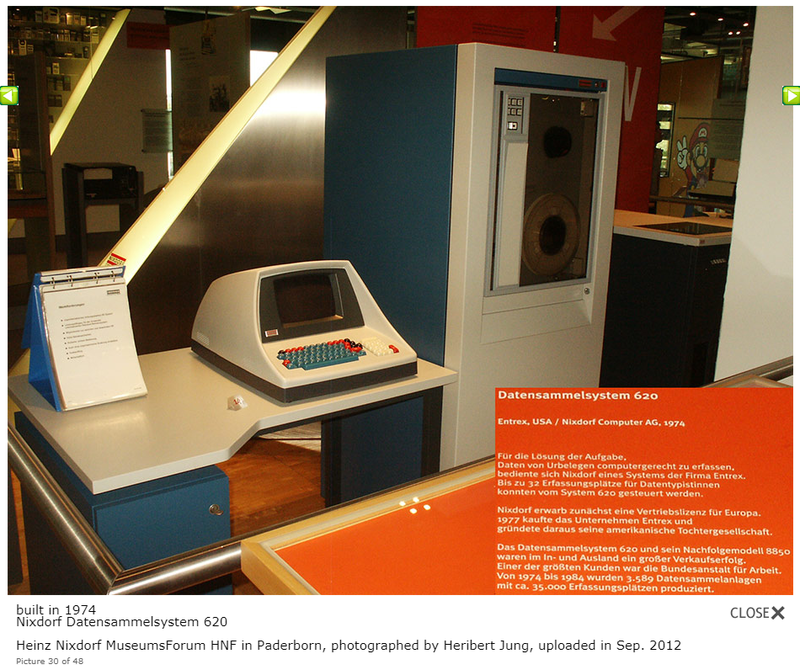 Nixdorf added the 8890 (plug compatible mainframe); tried WP for a short time - 8840, Communications boxes - 8860 (competed with IBM 8100) and even PC's -- 8810 --- none were really successful." Thank you, Charlie and Joe for providing us this gem of information. And on we hunt for Entrex and Nixdorf equipment that is related to the "Data/Scope"! As the machine was distributed by Nixdorf, the identification of the tape and disk controllers is a bit difficult, but I can take detailed pictures.